Does the steadily-growing SBI MF have what it takes to bag the top spot? British telecom major Vodafone Monday alleged that regulatory outcomes in India over the past two years have been against every telecom operator except Reliance Jio. Currently, in India, Vodafone operates as Vodafone Idea Ltd in partnership with Aditya Birla Group. 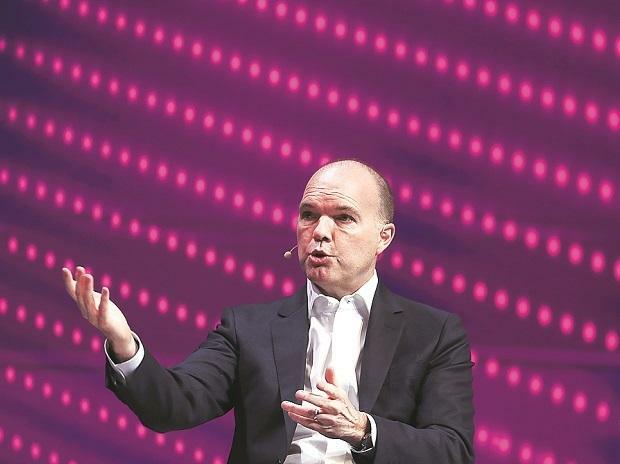 Vodafone Chief Executive Officer Nick Read, however, highlighted that its business in India has gone through a tough period but now, the company is well-positioned to play in the country with plans to invest in network and monetisation of assets. "I think we only asked for level-playing field in terms of regulations. Over the last two years, we had many regulatory outcomes that were against every one in the market except Jio. We made that point clear," Vodafone CEO Nick Read told reporters here in response to his views on the Indian regulatory and policy regime. He, however, said the current level of mobile services rates are the lowest in India and not sustainable. "All three players in the market are haemorrhaging cash... Pricing is the lowest (in India) in the world for now; average consumer is consuming 12 gigabits (GB) at price points you don't see anywhere else. Ultimately, pricing will go up, that does not mean it jumps, it will moderate," Read said. Vodafone Idea has raised minimum tariff to Rs 35, increasing the company's average revenue per user by 1.5 per cent on a quarterly basis to Rs 89. "Now, heavy discounting is going on.At the moment, we provide fantastic 4G service at the market and it is too early for 5G in terms of handset penetration. If we bring in 5G now, we won't be using high amounts of handsets," Read said.